BSU’s 2017 release about Renik’s graduate research. Bemidji State University graduate student, Kathryn Renik, was recently published in the fall 2018 edition of DUN Magazine, a quarterly, lifestyle publication geared toward women fly anglers. 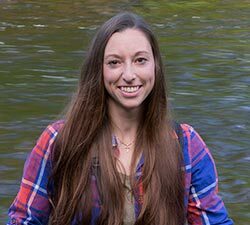 In her submission, “Casting Light on a Century-Old Controversy,” Renik discusses her research and experience in the debate on whether beaver and brook trout can cohabitate. Renik, who grew up on a trout farm in western Nebraska, graduated from the University of Wyoming in 2012 with a Bachelor of Science in fisheries. Upon graduating, she spent a year helping her dad raise trout and then a summer at an Alaskan salmon hatchery where she met Evan, her husband and kindred angler. The couple moved to Minnesota in 2017 and Renik started to pursue her graduate degree in aquatic biology at BSU. She will graduate in 2019 and plans to continue her work to improve fisheries habitat. 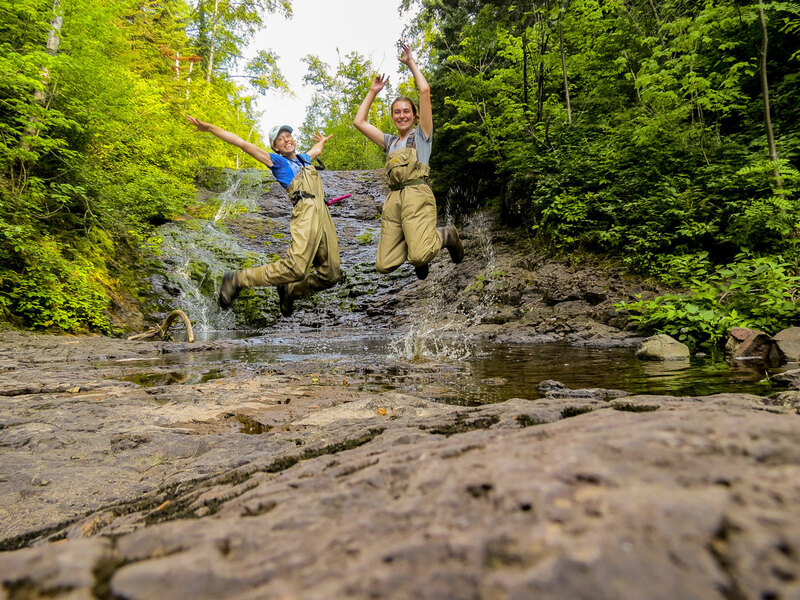 In the summer of 2017, Renik and research assistant Kylie St. Peter, a then-senior aquatic biology major from Bemidji, analyzed 30 streams and 10 beaver habitats to kick off a two-year cooperative project between Bemidji State and the University of Minnesota Duluth. The project is funded by a $225,000 grant from the Legislative-Citizen Commission on Minnesota Resources. Dr. Andy Hafs, BSU associate professor of biology, works as the primary investigator, while Renik leads the field work. Renik returned to the North shore to complete her research in the summer of 2018. DUN Magazine is a lifestyle magazine geared toward the female fly angler. Created for women and edited by women, DUN has become the home base for anglers of all skill levels. With the goal of empowering women, not ignoring men, all anglers will find value in DUN magazine’s articles focused on education, conservation, destinations and the fun of fly fishing. The magazine is also eco-friendly, made of recycled papers and vegetable ink.